We will provide the right system for your business based on what you really need. Our phone systems are built to grow with you. Whether hosted or in-house, your telephone system is at the heart of your business for your staff and customers. After listening to your needs we can guide you through the options to ensure the right system is is place to grow and adapt with your business needs. FreeClix Hosted VoIP provides a fully featured PBX hosted in the cloud and delivered directly to your desk phone, mobile phone or software client via the internet. Without the need for capital investment our services can include phone hardware and inclusive call charges to give you a line budget for your businesses phone spend. Our VoipCortex PBX platform offers a reliable SIP based solution from a single user to thousands of users in a multi-tenanted office environment. Based on traditional ISDN services and/or SIP Trunks incoming and outgoing phone lines can be balanced between services. Multiple SIP providers can also be configured to allow for failover or enhanced call routing benefits. Why Choose FreeClix to provide your new Phone System? We deliver phone systems both locally on hardware and in the cloud enabling you to reduce your CAPEX. Full reporting and call statistics. Multimedia communication enables collaboration and flexible working. Use devices from anywhere. Full call centre functionality with call recording. Streamlined deployment. Intuitive web interface. We don’t use scripts or canned responses. Our technicians are always on hand to give you quick responses when you need them. 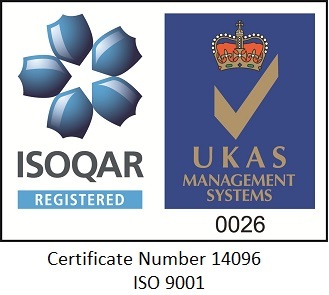 Our processes are certified by ISOQAR for quality (ISO9001). From a small office or an international call centre we've got it all the bases covered. We will never sell you more than you need but you can scale it as you grow. We have 16 years experience in the design & implementation of phone systems. Our engineers are fully trained in the products we sell and implementing them with all phone line service types. Want to reduce upfront costs? No problem, we can help arrange financing or provide cloud-based monthly payment solutions giving you commercial flexibility.